March 1, 2014 11:43 PM EST -- (TRN) -- A significant earthquake has struck the Crimean peninsula in the Ukraine within the last hour and Russian military sources are claiming it was a deliberate attack by the United States using it's HAARP Array in Alaska, in retaliation for Russia placing troops into the Ukraine. 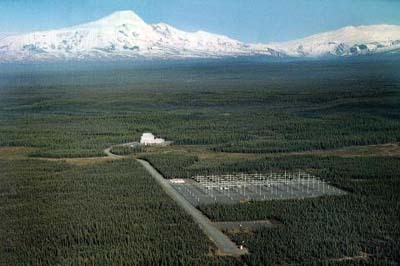 The main instrument at HAARP Station is the IonosphericResearch Instrument (IRI). This is a high power, high-frequency phased array radio transmitterwith a set of 180antennas, disposed in an array of 12x15 units that occupy a rectangle of about 33 acres (13 hectares). The IRI is used to temporarily energize a small portion of theionosphere. This is a developing story, with very dangerous implications. More details as they become available. Check back.